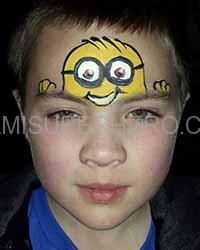 Most kids favorite party games at a birthday party, summer camp and sleep overs is a chance to get their faces painted. 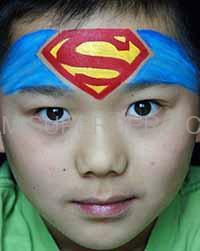 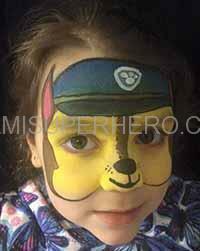 Whether they want to morph into superheroes and jungle animals or just be adorned with pretty flowers and butterflies, kids are drawn to the sheer make-believe and fun of face painting. 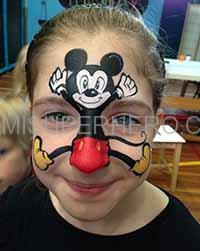 Kids at day camp love to come home with a happy lion face or Goofy cartoon character grin. 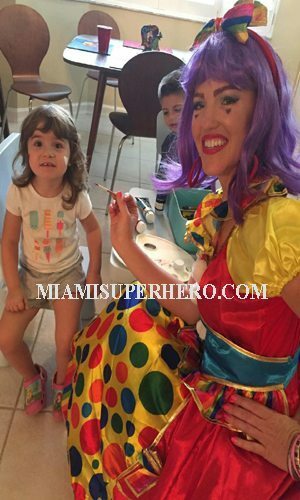 This colorful creative activity can be the perfect icing on the cake so to speak at your little ones birthday bash for a host of beautiful reasons. 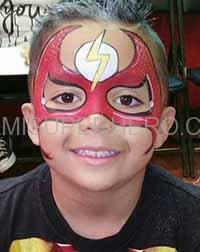 Body painters are a great way to add to your pool party, birthday, bbq or whatever event you may have. 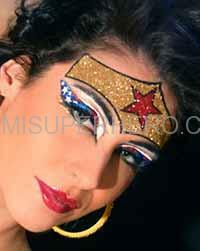 We have models as well for the body painter that can be the showcase of your event. 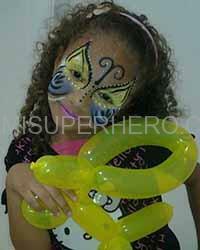 Just reach out to our staff event planner to coordinate what is the best fit for your venue. 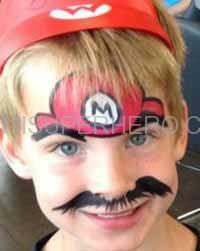 Especially deciding on what type of princes party ideas you can come up with is a challenging part for most mother’s but are always a big hit with little ones, and your child will love to help plan a party center on his favorite book, character, movie or activity. 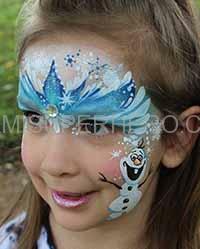 Pick a zoo themed party for young animal lover, frozen princes also parties for kids for your little princess or a rambunctious pirate style bash. 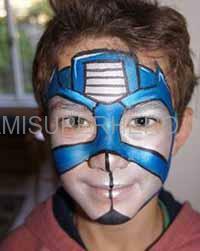 Themes lend themselves perfectly to face art, along with some cleverly coordinated invites, games cake, face painting as a fine element of fun. 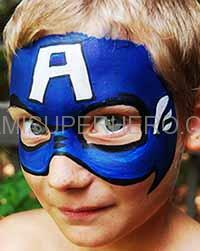 Facepainting is a great way to get the party going. 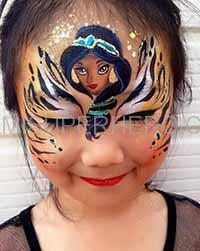 Whether you hire professional or you do it yourself, kids will have a blast choosing designs, watching their friends get decorated and getting right into character. 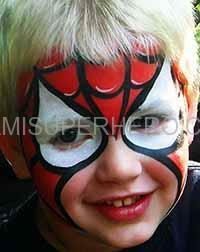 For example, when kids have a new face like Spiderman they will be more interactive and energetic with the spiderman impoersonator. 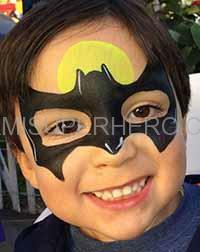 Before you know it, your house or yard will be a beehive of activity, with a princes prancing around about and keep crusaders giggling at each other. 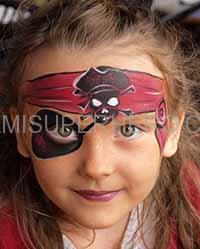 Little ones love the play dress-up, whether they’re acting out their favorite Disney movie, zooming around like a superhero or swaggering about like a truly wicked pirate. 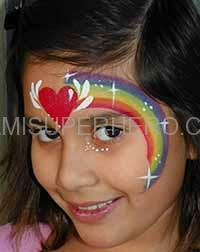 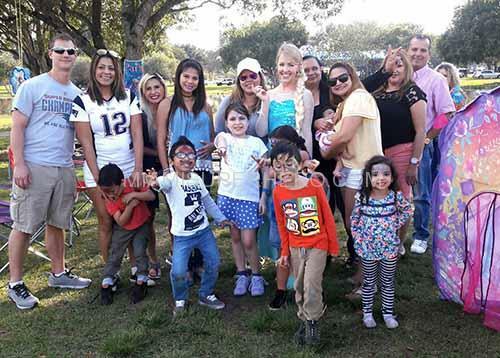 When you add face painting to a birthday party activities, you find kids will get right in the character and start up some lively games of make-believe. 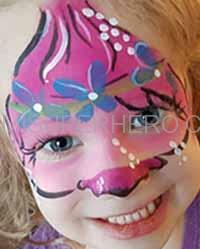 Kids will be using their imagination and creativity while having a frolicking good time. 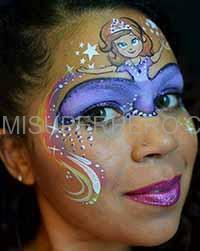 This also enables you to have a great time without the need to buy expensive props. 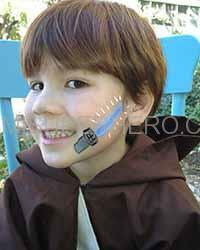 Rather than paid a higher professional party firm, you may choose to pain little faces yourself however it is very time-consuming as each child takes about 7 to 10 minutes. 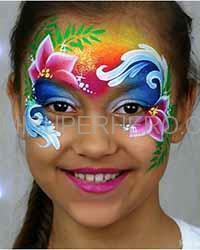 Or higher a company to do the face painting allowing you to enjoy watching and managing your children’s birthday party. 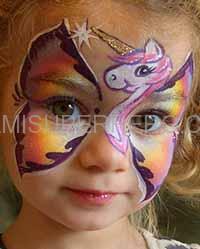 Just make sure that when you go to the arts and craft store, you by non-toxic paints made especially for face painting. 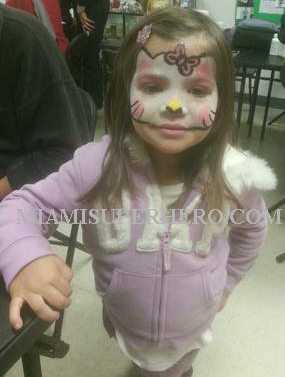 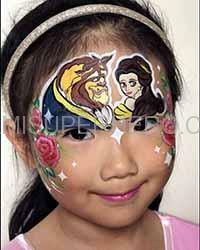 As we the company use hypoallergenic professional face painting these types of facepainting kits cannot be purchased at your local stores. 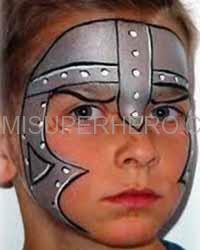 Put together a book of designs for kids to choose from, also utilizing Google images is a good way to approach this, be sure to see the child in a chair were safe place while you attempt to paint the face this is needed as kids tend to move a lot and lose concentration and you don’t want to poke a child’s eye. 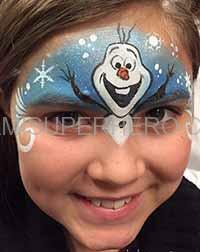 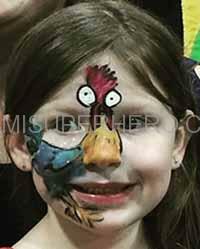 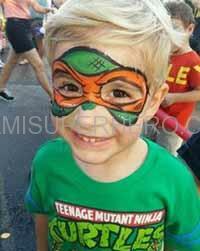 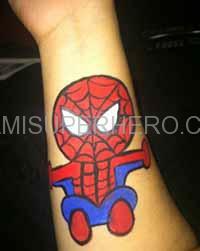 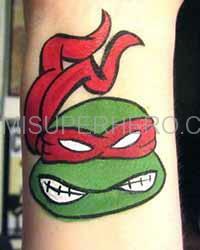 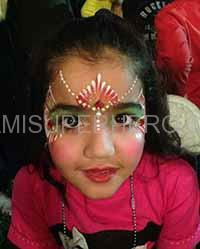 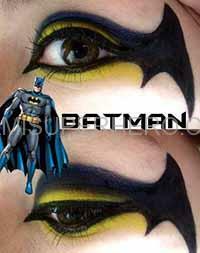 You may opt to hire professional face painter from us, some of whom have even gone to art school. 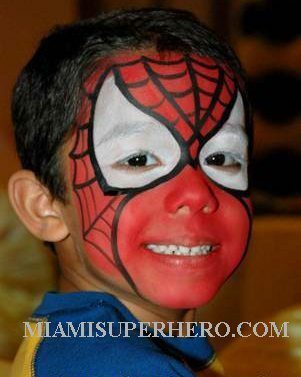 Some of our performers or face painters are in professional art institutes, Broward College and Miami-Dade community college so they’re very good at what they do. 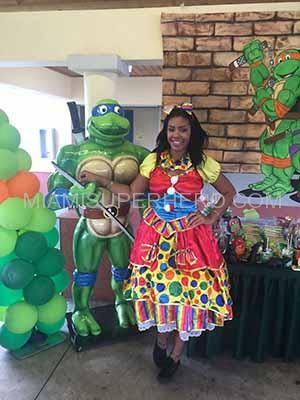 Other bundles that can be offered with face painting or balloon twisting, photo booths, princes parties, and game activities to support a lengthier party of more than one hour. 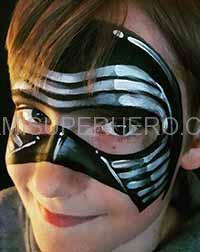 We use hypoallergenic facepainting that doesn’t run on the clothing but easily washes off with soap and water in the shower. 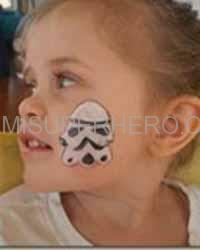 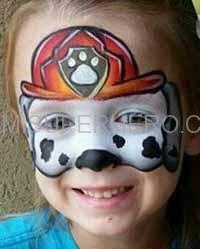 The face painter that you hire will bring professional face painting kits, experience and painting faces, knows how to organize the kids, understand what the kids typically want correlating with the theme of the party, the face painter has worked with these themes before and knows what kids typically like, allows the parents to conveniently relax at the party enjoy the festivities and activities at the party. 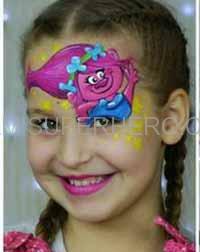 Therefore the much better option is to hire a professional face or body painter to come out to the your birthday party, anniversary party, pool party, barbecue and any other special event that you may be having. 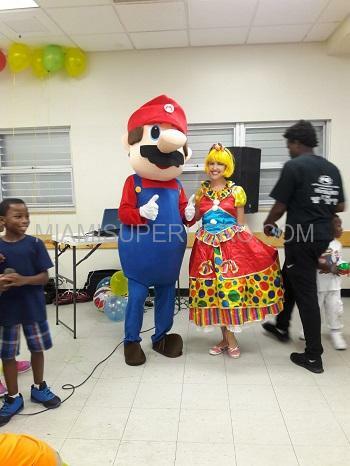 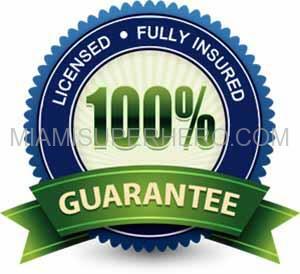 Contact the event planner here and we will take care of you and accommodate any needs that you may need.